It is about more than just programming – software development at adesso is a holistic engineering process. It includes requirements engineering, system design, programming, quality assurance and project management. Our software engineers feel at home in the Java, mobile, frontend and Microsoft environments and use a wide range of technologies and methods. Where theory and practice intersect, we need bright people who have great organisational skills. Our IT consultants bring strategic thinking, digital trends and ideas for selecting technologies and tools under one roof, along with their project management skills. Our IT consultancy service provides a strong link between our specialist departments and the IT team. We believe that our mission is not only to define and document requirements, but also to be engaged in the project throughout its entire life cycle with our analytical and communicational skills. We use Agile methodology for all analysis processes. Besides that, we are leading the way in the transformation of our business partners. One of the most important aspects to any project is the testing that is performed. We use "shift left" approach to support high-quality software development. Account management at adesso is about more than simply selling isolated IT services – we offer our customers the entire spectrum of adesso’s services! Our talented salespeople need to have a broad overview as well as deep insights. They act as intermediaries and advisors in exciting project environments, which range from delivering complex custom-built software right through to mega-projects. 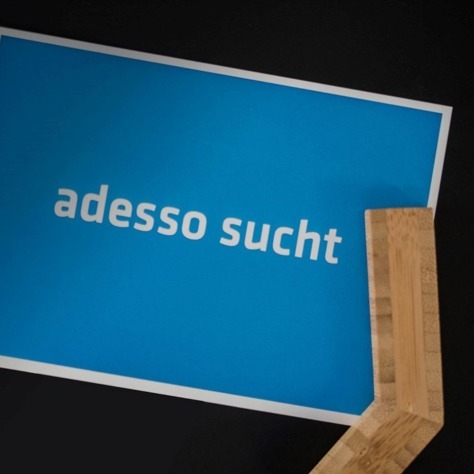 Our central services team actively supports adesso’s growth. It provides a variety of internal services, ranging from back office support and financial services through to HR management and corporate communications. This means that our central services team has opportunities for people from a wide variety of disciplines.